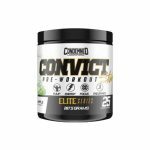 Suppz is offering the powerful Condemned Labz Convict pre-workout for the first BOGO FREE ever! 2 tubs for $39.99! The price for 2 tubs drops to $39.99 in cart, and then to $38 with our exclusive coupon FDN6 during checkout. It is available in 2 flavors. 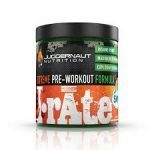 Juggernaut Nutrition IrAte Pre Workout Coupon 20% OFF!